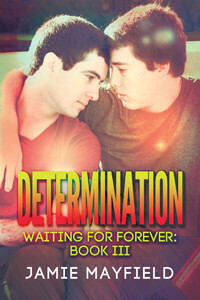 Adam’s determined to prove he’s not gay—then his worst nightmare comes true when he finds himself attracted to Trevor. Another Dumb Jock by Jeff Erno, available from Dreamspinner Press. Jeff Irwin and Brett Wilson raised a fine son, Adam, in their unconventional, judgment-free family. But being the son of two dads has its challenges. Although Adam loves them, he’s determined to prove he’s not gay, like they are. To this end he’s become the star pitcher of his high school baseball team, a true jock. 1st Edition published by CreateSpace, January 2012. When Todd’s mother is diagnosed with cancer, he returns to Seattle. Brad is left to fend for himself in Portland struggling with jealousy. On the Road to a Perfect Match by Elizabella Gold, available from Dreamspinner Preee. Who would strand him in the desert? Terrified, Kendall takes comfort remembering happier times with his long-time lover, Johnny. Stranded by Andrew Grey, available from Dreamspinner Press.